​​Massachusetts ​criminal law related to the possession, transportation, use, sale, and distribution of firearms is a complicated area of law that can subject you to a number of serious criminal penalties. In addition, the use or possession of firearms during the commission of other offenses can significantly enhance the penalties that you, as a criminal defendant, may face. 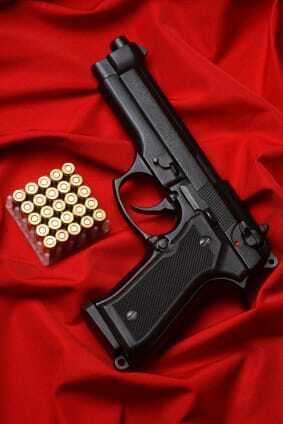 firearm offenses such as carrying a firearm requires mandatory jail time if you are found guilty. We carefully analyze all aspects of your case, looking for any signs of police misconduct or procedural errors. There are a number of defenses available for weapons offenses, including demonstrating that the gun did not belong to you, or does not even meet the legal definition of a firearm. The consequences of a gun charge or weapon charge conviction are severe — the sooner you get a criminal defense lawyer to help you, the better your chances of beating the case. Our gun laws are complicated, and Massachusetts judges are not inclined to show leniency when guns are involved, but we have had success challenging gun possession arrests in the past. Call us today.